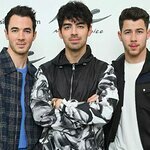 GRAMMY Charity Online Auctions — in celebration of the 55th Annual GRAMMY Awards, will offer more than 100 exclusive items including once-in-a-lifetime VIP experiences, memorabilia from world-renowned celebrities and official GRAMMY merchandise signed by participating stars backstage during rehearsals and the day of the telecast. 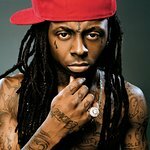 Items featured in the auction include VIP Concert and meet-and-greet experiences with Celine Dion, Lil Wayne, Miguel and Esperanza Spalding; an outfit worn onstage by GRAMMY nominee Carly Rae Jepsen during her Las Vegas Concert; VIP Tickets for the upcoming Coachella and Stagecoach festivals; official GRAMMY merchandise autographed backstage at the 55th GRAMMY Awards rehearsals and telecast by celebrity participants; guitars autographed by the Black Keys, Maroon 5, Jason Aldean; and music memorabilia autographed by Adele, Mariah Carey, Eminem, fun., Nicki Minaj, Katy Perry, Sting, and Jack White, among other items. Presented in partnership with Kompolt, The lots are available for bid in two cycles now through Feb. 21 at www.ebay.com/grammy. All proceeds will benefit MusiCares and the GRAMMY Foundation.